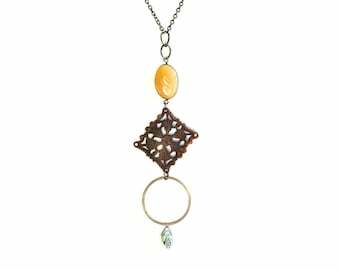 This one of a kind statement necklace was made with a recycled antique Victorian drawer pull and a vintage silver-tone necklace. The necklace is approximately 16 inches in length and the drawer pull is about 3 inches across (specific measurements forthcoming). 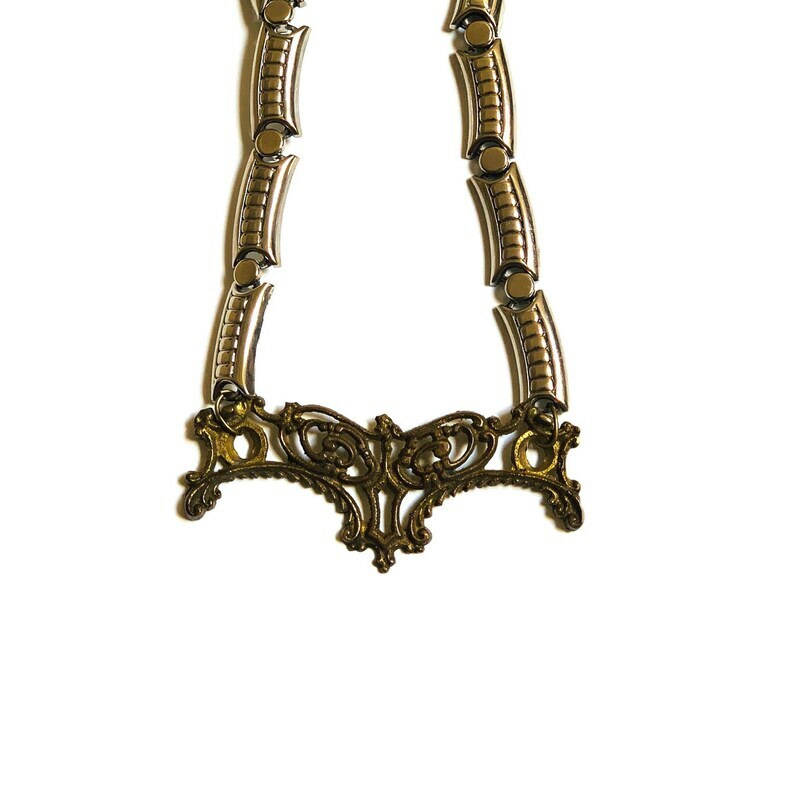 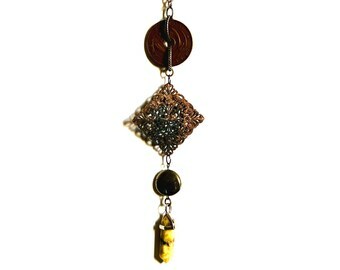 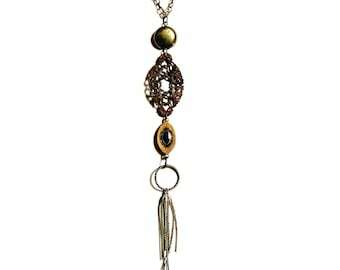 This necklace looks BEAUTIFUL with strapless gowns, or with a black v-neck and worn jeans.